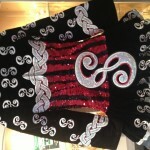 Gavin stunning sequined Red/Black bodice with Broad white Celtic embroidery trimmed with Silver sequins. 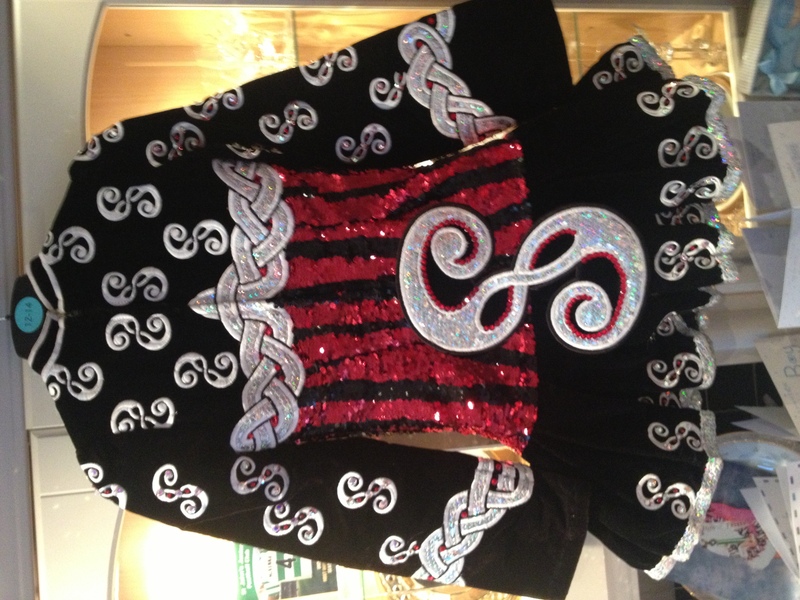 Sleeves and Sash Celtic entwined symbol set off with Swaroski SS40 (AB) andLight Siam SS 20’s. 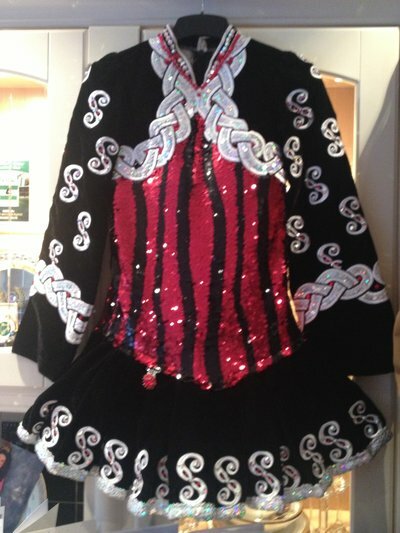 Selling due to transfer Beautiful dress stunning stage presence.